Sheila Warren is Head of Blockchain and Distributed Ledger Technology at the World Economic Forum. She began her career as a Wall Street attorney before turning to philanthropy and nonprofit tech over a decade ago. 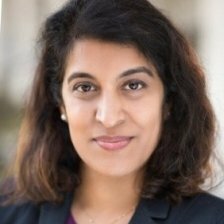 She has represented banks, philanthropists, and progressive nonprofits, and she most recently served as the VP of Strategic Alliances and General Counsel of TechSoup, the global social enterprise that has connected civil society organizations around the world with over $9B in donated tech-based resources. Sheila previously designed and launched NGOsource, a groundbreaking service focused on international grantmaking, and created a blockchain-backed registry for non-profit organizations around the world. Sheila is a graduate of Harvard College and Harvard Law School. She currently serves on the Board of the ACLU of Northern California.